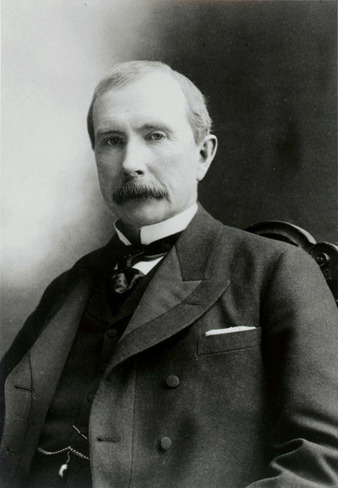 John D Rockefeller life is told in the book Titan by Ron Chernow. Much has been said about the man often claimed to be the richest man in the world. Verne Harnish, founder of Gazelles put Rockefeller's genius for business into a book, Mastering the Rockefeller Habits which distills his principles into a remarkably insightful 150 pages. Rockefeller was a man with unparalleled discipline. He did not drink or smoke in a time [1839-1937] when not to do so would have been considered odd. While many of the practices he used to build his empire are questioned, what is known about his business methods is they were governed by high morale discipline that his mother taught him as a Northern Baptist. Our Gazelles coaching methods and in particular Positioning Systems foundational principles find the Three Disciplines Rockefeller preached as fundamental to growing any business. This is particularly true for small to mid-sized businesses where the business principal can frequently be the greatest obstacle to success. Knowing what to focus on is critical. Where and what do you put your energy toward? 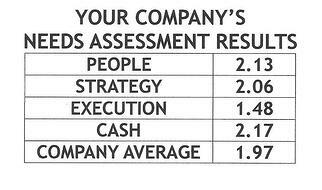 Is it one of the Four Decisions; People, Strategy, Execution or Cash? Once you determine what it is, you need to make it your One Thing. To the exclusion of all others you must concentrate on this. In doing so not only will you achieve it, you will drag other important priorities with it toward accomplishment. Your One Thing is the equivalent of the blitzkrieg military strategy, placing all of your forces at the enemy's weakest point. Make sure it is the proper priority and that your time and resources are well invested. You can't manage what you don' t measure. Rockefeller's business numbers were a common discussion of the daily lunch. Making people accountable is impossible without measurement. Indeed your best and most competitive people will want the numbers to score how well they are doing. It may be one of the most common instruments to measure whether a candidate is an A player or not. Simply ask them how they measure success. If they are not aware of the metrics which drive their accomplishments, then it's probably also true that they are not at the top of the food chain as an A player. The best leaders are paid most for their ability to predict and delegate. Without metrics it is impossible to forecast your future. These three Disciplines are essential to your businesses success They are essential to developing a discipline for growth. Unfortunately most business owners and managers fail to recognize the importance of Strategic Discipline and how it influences the area of accountability. We'll look at how accountability can be measured by these three disciplines in our next blog.